This was a beautiful, heartfelt movie. I really loved the theme of Foster Care as that is something our own family is considering. The movie was very well acted, the scenes were well scripted, and it was a high quality film presentation. It is rated PG-13 for thematic elements. I recommend it for your older teens and adults. A strong theme of Redemption and how God seeks those who are lost. I think this will end up being among one of the great Christian films. 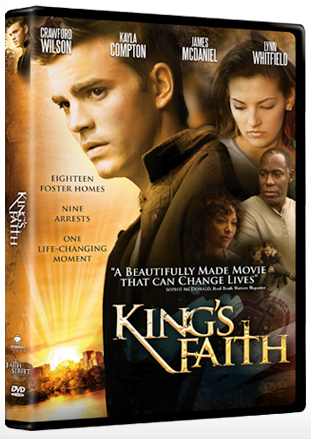 Enter to win a copy of this DVD for your family enjoyment! Use the Giveaway Tool below. We just saw Olympus has Fallen. I saw The Confession lately (based on the book by Beverly Lewis) and really enjoyed it. Despicable Me 2, haha! We don't watch many movies that aren't for kids. I am a zombie fan, so World War Z for us! Monsters University and love it!! Strangers in the Air..it was on INSP last week. I recently watched Woman Thou Art Loosed and it was great!!! You should check it out!